Our new DIY Table Rebus answers that question in spades! 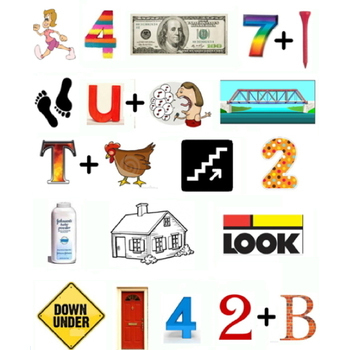 Each table receives a a number of pieces of a “rebus” (picture puzzle). By moving around the room, swapping pieces with other tables, your table/team will eventually put together a completed, secret message. That secret message will direct each table to prepare a specific creative challenge having to do with teams and trust, which they must then perform on stage, in front of the entire assembly. Full-color puzzle pieces, with coordinator’s guide. Participants get to know a large variety of people on a more personal level: both at their own table and at other tables. People discover the hidden skills and talents of their friends and co-workers. Fun, fun, and more fun.